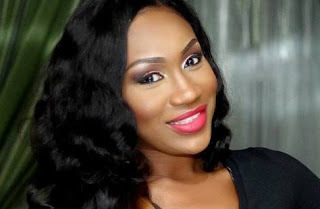 Nollywood actress and producer, Ebube Nwagbo says she is not disturbed by the delay in getting married, adding that she will get married at the right time. Ebube was speaking in an Interview with Vanguard where she noted that the nature of her work puts her in position to be misunderstood. She said, “I don’t think I’m controversial, you know there are people that others usually misunderstand, and I think I’m one of them. “I’m in the limelight, what we do puts us in a position where people misunderstand us from what they see on screen. “I can’t begin to explain to everyone that what they read about me is different from what they see on the screen. “So, I’ve learnt to ignore most times, and when you ignore, people make out what they want in their heads and assume that this is the truth or this is not the truth. Ebube added that she is single because she wants to get married at the right time, and not because she lacks suitors. “I’ll get married at the right time,” she said. She debunked the rumour making the rounds that she is terrified of marriage, adding that getting married is a big deal and must be done rightly. “What marriages are going through right now in my industry is crazy. No one goes into marriage and thinks of getting out of it the next minute, but for some reason it doesn’t work out.